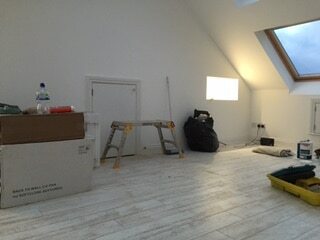 Tony and Hazel Henderson from Whitley Bay came to us looking for a loft conversion. 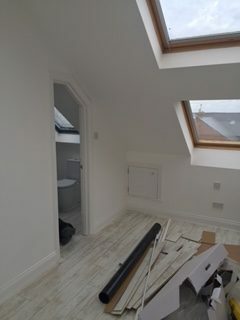 They already had a DIY loft conversion which they’d inherited when they bought the property. 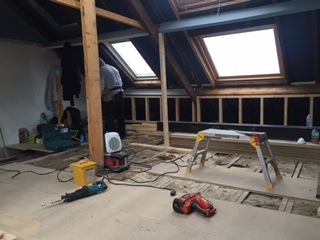 We get a lot of projects where we are converting a DIY loft conversion into a proper bona-fide loft conversion. 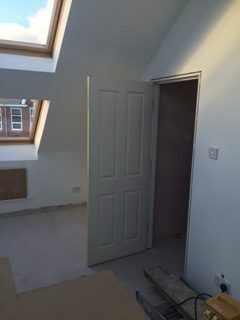 Unless a loft conversion is passed by the local authorities building control department and officially signed off, it cannot be classed as an additional part of the house. 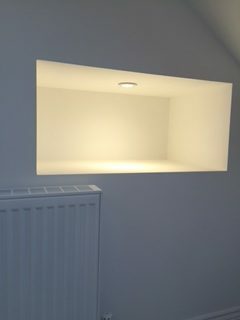 In these cases it does not increase the value of the home. 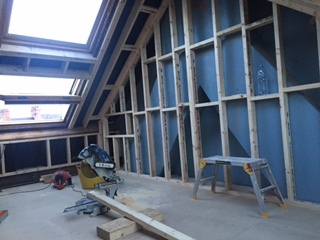 In fact, we have seen instances where badly completed loft conversions, have actually decreased the value of homes. 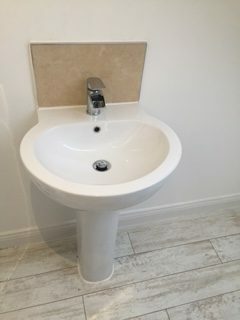 This is of course not just isolated to the Whitley Bay area, but all across the North East. 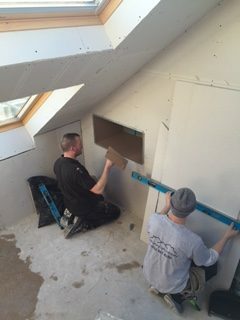 Between Daryll at The Luxury Loft Company, the architect and the engineer, a plan was put together to figure out the best route to complete the project and make sure every angle was covered. 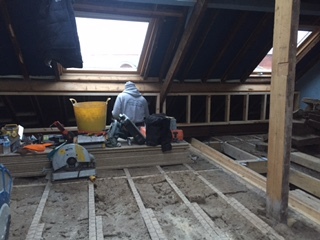 There were already Velux windows in the roof and steel beams in place in the floor. 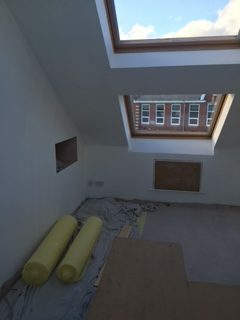 We managed to utilise most of this but had to replace a couple of the Velux windows due to their age and condition. 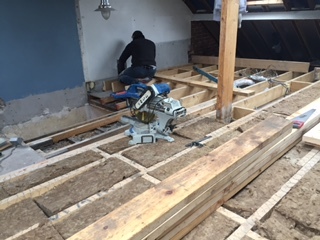 Next we added additional steel beams in, to carry the weight of the roof. 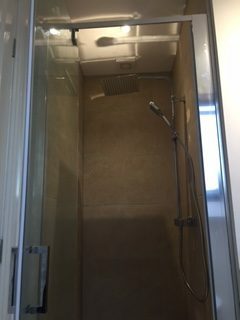 We stripped everything out, reconfigured the layout complete and managed to fit in a full walk in wardrobe, shower and small bathroom. 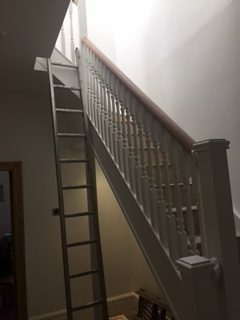 Our advice was to replace the existing stairs. 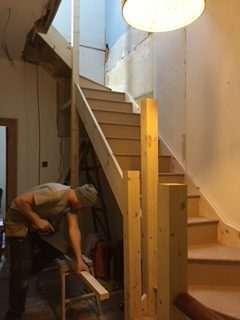 Mr Henderson originally wanted to keep the existing staircase but we pushed a little as we knew that the overall job would look complete, only with a new staircase. 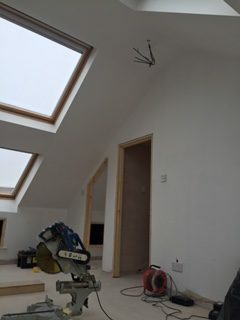 Mr Henderson thanked us by the end of the project and said he was so glad he listened to our advise. 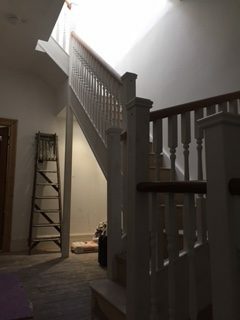 We left the staircase open plan, with spotlights, and then we made sure that the new staircase matched in completely with the old staircase, so that it looked like it had always been a part of the house. 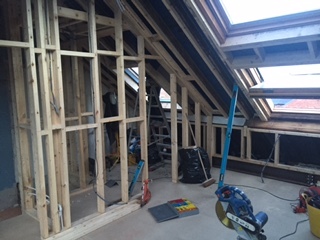 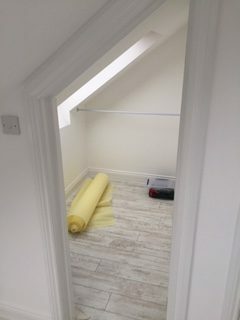 We have since worked on a number of loft conversion in the NE26, Whitley Bay area.